Chain Store Guide’s user interface has been redesigned to make it even more user-friendly and feature packed. 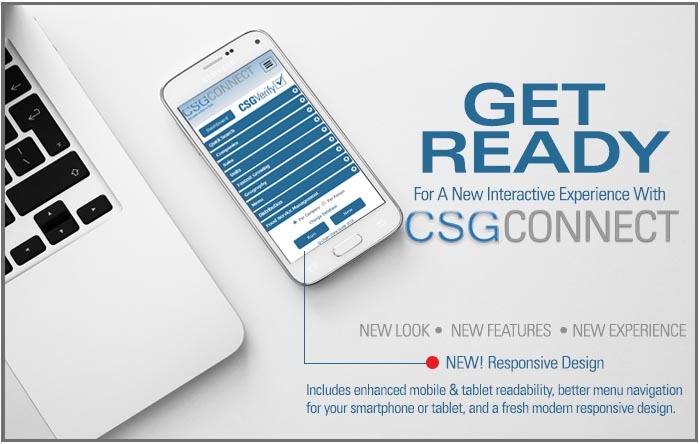 We have added many new upgrades to enhance your experience and productivity. This online portal allows you to request validation for specific companies & personnel that may not be included in our database. We will research the company to verify that it qualifies for inclusion and, if it does, add it to the database. Contacts can also be submitted for review and cleansing. Once accepted, these new companies & personnel will be monitored for changes and ping tested monthly. 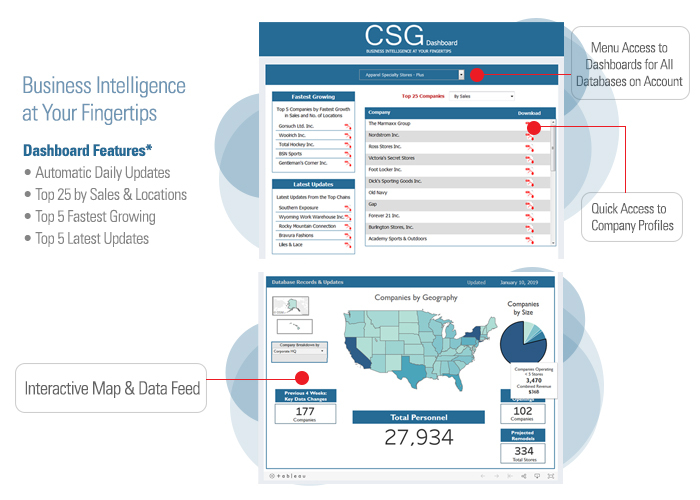 The Dashboard has a clear, straightforward structure that gives you access to live data that is updated daily, company profiles, interactive maps, top company rankings, fastest growing chains, and much more. *Counts are for Premier and PLUS databases and are approximate and subject to change. Databases are updated daily by our in-house research center. Industry databases are sold separately. Subscription period lasts for one year and includes unlimited access during that time. 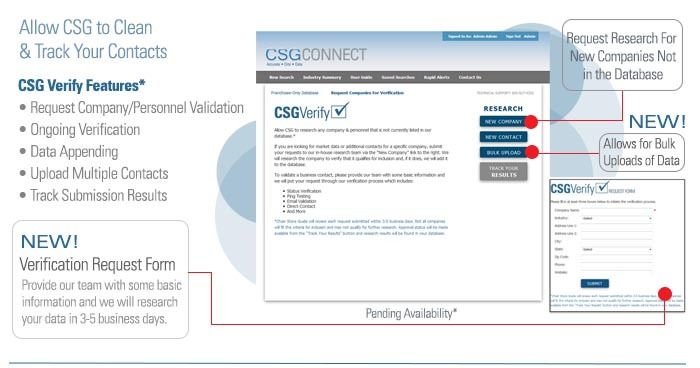 Companies and personnel validated through CSG Verify must meet the minimum criteria for inclusion to be accepted into the CSG database; once it has met those criteria, the cleaned data will be available from your online CSG Connect portal. Dashboards and features may not be available for all online databases, contact us for more details.